Features What’s hair got to do with it? When we, the authors, first chatted about facial and body hair, it was to talk about the early deaths of our unibrows – may they rest in peace. We discovered that we were both very young when we had our mothers pluck our unibrows, that we both have fairly hairy arms, and that we both have a lot to say about the taboo topics of body and facial hair. Facial hair and body hair are rarely talked about openly or analytically, even though most people have quite a few feelings and experiences when it comes to these topics. Whether you avoid razors like the plague or shave every day, you probably have some feelings about your hair. We wanted to uncover some of these feelings that social norms try to tuck away. Click here to play the accompanying audio: Your browser does not support the audio element. Sorry! I think back to my first memories of my unibrow and moustache, which involve my mother and a pair of tweezers. Because my mom made sure no one would ever see it, I was never bullied in school for my facial hair. When I started fourth grade, this began to include leg and armpit hair, and she took me to my very first waxing session. Sometimes not talking about it can be just as powerful as talking about it. When my mom didn’t mention my moustache and leg hair during my last visit, I could tell she was trying really hard not to. This was confirmed as we were saying goodbye at the airport, when she asked me, “Did you notice that I didn’t comment at all this time?” She had made it until the very last second, but still couldn’t stop herself from saying something. And when I think about it, I think I’d feel weird if she hadn’t said anything. It’s her own way of showing that she cares about me, even if I don’t follow her advice all the time. I find it strange that hair removal is never framed as a beauty issue. According to my mom it’s a hygiene issue, according to bosses it’s about professionalism. Fast forward 12 years: when I went home for winter break this year, my mother was revolted by the hair on my legs. “Aren’t you embarrassed?” Oddly enough, now that I’m old enough for my body hair to worry her, it no longer disgusts me. I conceded to having the hair that I’ve learned to no longer hate – though not yet quite love – waxed off, but only because my mom’s horror didn’t seem quite worth resisting. For a lot of people, their first experience of consciousness of their facial and body hair involved their parents. Families often embody, and thus entrench, normative conceptions of what is ‘masculine’ and ‘feminine.’ This gendered understanding of what kind of bodies are acceptable can come from the passing down of traditions, but can also apply extreme pressure to fit certain ideals. But family can also be a source of pressure when it comes to hair removal firsts. 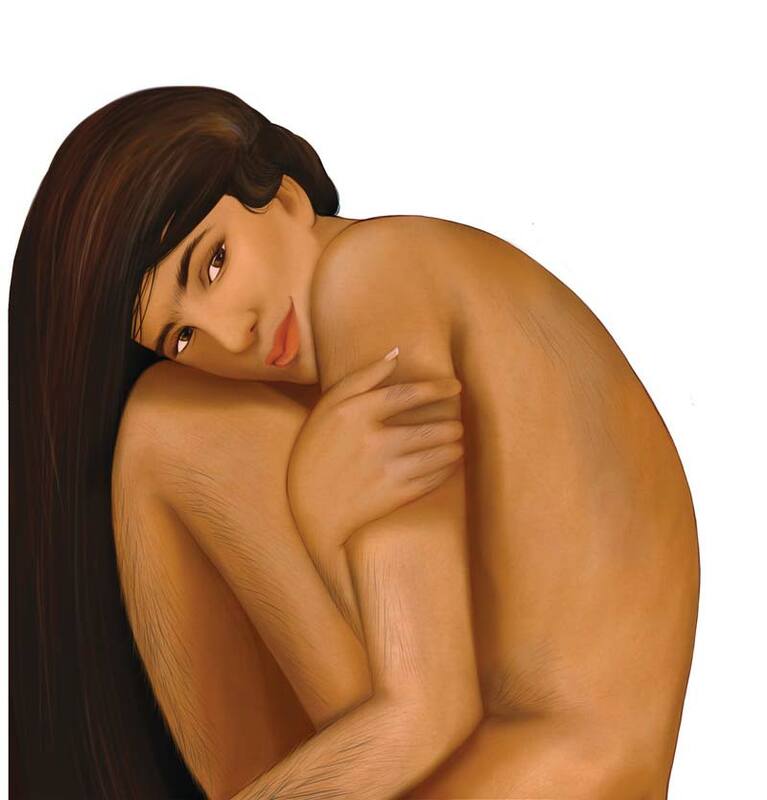 Nadine said that she didn’t really care about her “hairy legs” when she was 13, but her mom insisted that she get them waxed. “There might have been many tears involved,” Nadine admitted. While hair removal was presented and perceived as a natural rite of passage for many women we interviewed, it was a source of conflict for Batu and his family. He talked about being the first boy to grow hair on his legs in school and secretly shaving with his dad’s razor to not feel different. “In a few weeks, when my hair reached the stage where shaving wasn’t doing any good anymore, my parents understood what was happening. They called me aside and questioned me. ‘Why are you doing this?’ ‘You should be proud to show your hair.’” He said that the patriarchal and “masculinity-centred lectures” that he received from his family informed how much his hair shaped his perception of himself and made it even harder to “make peace with” changes in his body. Arîn, one of the two creators of the Middle Eastern Feminist Facebook page, also talked about the way in which norms are enforced on her body hair using various discourses in different public spaces. “When I was homeless, case managers read my progress and compliance with programs partly through my bodily presentation and how well groomed I appeared. When I was working food, it was about ‘hygiene.’ When I was working retail, the regulation of my body and facial hair was a matter of ‘showing customers respect.’ And when I landed an internship in policy research and communication, showing as little body and facial hair as possible was a matter of ‘professionalism,’” Arîn said. 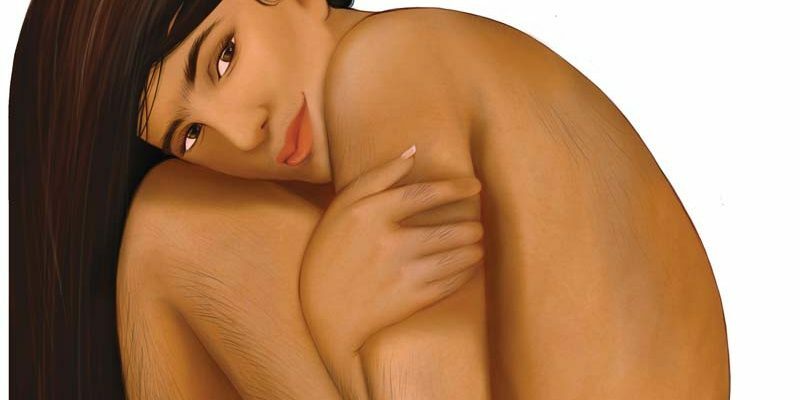 Despite our understandings of body and facial hair being inextricably intertwined with societal norms, the internalization of these norms can lead to a battle with our own bodies. Sometimes the voice in our own head judges us more loudly and harshly than the voices around us. Other times, it refutes the norms and tells us we don’t have to fight our bodies. Aside from expectations of masculinity and femininity, the criteria for how acceptable a body is in terms of the amount of hair it grows also depends on racial prejudices. These expectations can be enforced by white people on people of colour, but can also be enforced within communities of colour. Too much or too little hair can lead to fetishization, public scrutiny, and even body policing by the literal police. Despite feeling empowered when growing out her hair, Saima also emphasizes that not shaving as a racialized person is a radically different experience than not shaving as a white person. Conforming to body norms can be a survival mechanism for racialized people and refuting the norm is doubly threatening. This racialized evaluation of body and facial hair, however, is not limited to public spaces, but also manifests itself in intimate relations. The criteria for how acceptable a body is in terms of the amount of hair it grows also depends on racial prejudices… Too much or too little hair can lead to fetishization, public scrutiny, and even body policing by the literal police. We found that the people we spoke with are comfortable to varying degrees when it comes to discussing hair openly, and even then, the taboo against the topic is often only lifted around close friends and family. This heavy silence around body and facial hair can heighten our internal conflicts, as we might feel alone in our struggle to reach an ideal that was imposed on us. But maybe, if we knew that other people are grappling with these norms too, we wouldn’t feel so hopeless when confronted with the judging stares we get in the mirror and on the street. Saima pointed out that in contrast, in some situations, talking about it can feel like opening yourself up to attack. “I don’t think I would bring it up with someone who I knew would be like, ‘ew, gross, why would you do that.’ Because I don’t think I’m at a place where I’m secure enough [to defend] myself,” she explained. The taboo against the topic is often only lifted around close friends and family. This heavy silence around body and facial hair can heighten our internal conflicts, as we might feel alone in our struggle to reach an ideal that was imposed on us. Fighting against omnipresent ideals of what our bodies ‘should’ look like might seem like a lonely, losing battle, but maybe it can feel less so if our experiences with body and facial hair begin to claim some space. This space can take a million forms, because despite what the world would have us believe, body and facial hair can’t be boiled down to just “gross” – as we were told many times and in many ways in our interviews, it is much more complicated than that. As many ways as there are for people to hate or love or both love and hate their body and facial hair, there exists an equal multitude of ways to unveil, share, and exult in our hairiness.